It seems things can change in an instant. After Ty's appointment on Tuesday his lymph nodes increased quite a bit in size and spread. It was amazing how fast things progressed and he was starting to have pain. Then the night sweats came. It just was crazy to see how fast this cancer was causing problems. So Dr. Sweetenham told Tyler that after his surgery that they would admit him into the hospital. 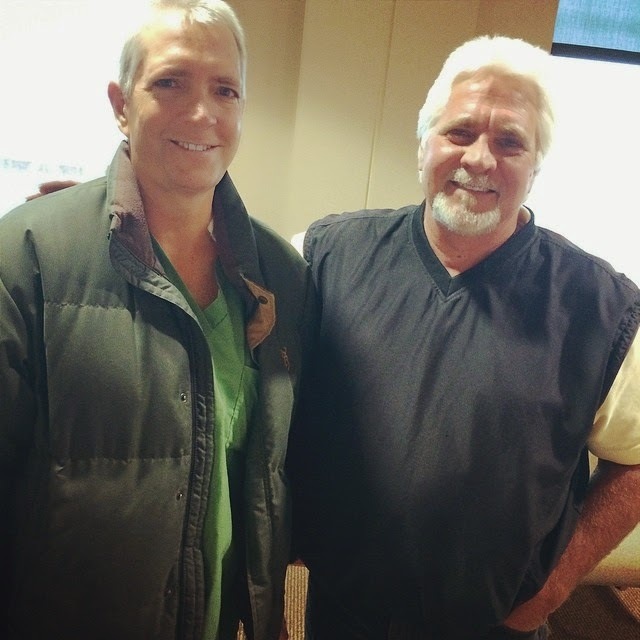 The surgery went well and they admitted him into Huntsman Cancer Institute again. They wanted to wait to find out the results of the biopsy to see which chemo course that they should do, but still felt the need to get him on steroids and medicines to stop the symptoms from getting worse. Both of Ty's siblings were at the hospital yesterday to get tested. It was special to see both Bret and Leann here. It brought tears to Ty to know they are both willing to be his donor. I wish I had taken a photo of Ty with his sister. She was at the hospital earlier than Bret. I wanted you to see my HANDSOME brave husband (on the left). You can see Ty has some hair now... it's gray and some black. It's so super soft to touch. I asked him to smile for the photo. is deceiving on how skinny he really is. I think he looks great though. Many of you have asked about donating to become a donor. You can go to www.bethematch.org to find out. They admitted Ty and he was put through many tests. The CT scan yesterday showed the nodes enlarged and growing in all the same areas as before. Thankfully, they admitted him so that they could get ahead of the dancer. They wanted to not let the cancer spread anymore. T-cell lymphoma is so aggressive so they wanted to be aggressive in his treatment. I am at the hospital right now. They decided to start his chemo today. They found out that the biopsy did show that he is fighting the same cancer. They are doing a chemo regimen called ICE instead of SMILE (they changed their mind). He will be getting the chemo treatments for three days. with him. He truly appreciates them. MOTHERS DAY is tomorrow. 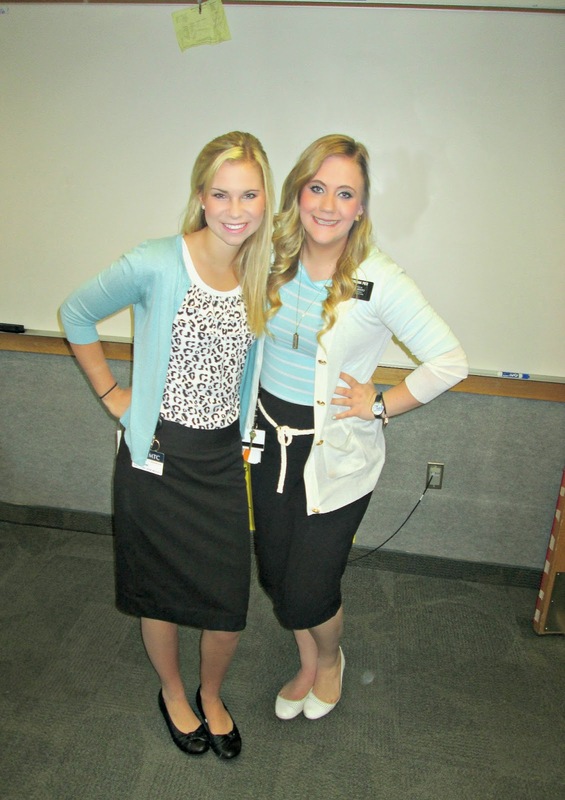 I am going to be with my kids at church, visiting Tyler and I get to SKYPE with my daughter tomorrow on her mission for Mother's Day. tell me that I'm not "seeing how serious" it is. discouraged and think he won't beat this? I know that when I had my stroke, I needed encouragement. Many people told me stories that uplifted me. They told me to expect miracles. I did just that. I survived that night. I am fortunate and I know that God was there. I know that NOTHING is impossible. without him. Each day is a gift and I will be happy for every day. I have learned so much in this journey. we will get through it together. We support each other and know that no matter what we will CHERISH each day with each other. Keeping your husband, you and your family in my prayers. God is the great physician and through Him all things are possible! Still keeping y'all in our prayers. And we are hoping for the best right along with you. MIRACLES Just Ahead ~ keep that in mind all the time. Even tho the journey is extremely rough right now miracles are ahead. Remember that God did not give us a Spirit of fear. He gave us a Spirit of believing in MIRACLES. Always expecting the best outcome is not that you do not understand the seriousness of the problem but you believe that God can do anything no mater how hard it is. We are all praying for your dear husband and your family. Ty looks great and handsome as ever! and his not-too-shabby-brother looks alittle like Kenny Rogers (before the bad plastic surgery) ! hahahahaha hope it cheers you up! you are amazing! Your husband and you are in my prayers. Happy Mother's Day. I have a dear friend who is battling her second kind of cancer. She shared a book series with me when my Mother was diagnosed with metastatic renal cell carcinoma. These books are by Dr. Bernie Siegel and focus on the healing power of prayer and positive attitude. I highly recommend them for you, Ty, and your children. My prayers are with you all as you fight this monster. As my mother and I have said many times, if there is only a 10% survival rate, someone has to be that 10%...why can't it be you!!! 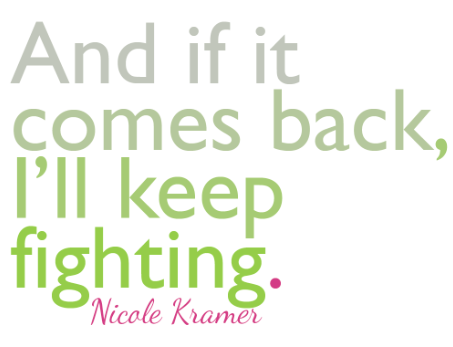 I am so glad that the treatments have started already, and being even more aggressive in the fight too!!! Adding another 1,000% of HOPE today!!! Tony and I send all our prayers and continue to pray daily for you both. God Bless and Happy Mothers Day. Happy Mother's Day and Happy Birthday to your daughter! SO many prayers coming from a million directions. You have an uncountable number of people pulling for you-- the positive thoughts and prayers are abundant. Back in 2007 I noticed the 3 little moles behind my hubby's ear had become 1 hidden Mickey. He had his yearly dr appt and told doc to take a look.. we were at the Cancer center 2 days later for a biopsy--luckily it hd not spread and was removed with no occurrence..BUT the doc that did the removal said that If I hadn't seen (hidden in his hairline behind his ear--I cut his hair) Doc said with how close that was to his sinus it would have been "all over within 6 months"..what a wake-up call! More hugs and prayers sent your way. We will continue to pray for y'all and have faith that God will heal your hubby. Happy birthday for your daughter and Happy Mothers Day too. Keep your faith strong regardless of what others think. A positive attitude goes much farther than many give credit to. Think of the smile test - smile and say "hello" to everyone you see and watch what happens. I try to remember this no matter how I am feeling because I believe in the power of prayer and being positive. Blessings to you and your family. Hope/not fear, what a great way to look at the struggles we face on a daily basis. Well wishes and prayers for a successful fight and a peaceful journey during this struggle. Put it in Gods hands. I am so proud of your continued message of hope. I am praying for you and your family. May God bless you and keep you all... and give you strength. Love and hugs! Your attitude is an inspiration...sending positive energy & prayers to you, Ty, & your family. Please know that all these prayers are coming to you and Ty. There is strength in numbers. Words to live and believe by "God's Will is always healing". Believe it and accept his grace for you. By His stripes, we were healed. Already a done deal. Believe, believe, believe. Prayers to you and your family. When my grandson Brody was diagnosed with a pediatric cancer called DSRCT, all we could find were devastating things when we researched it online. Then, I found a DSRCT support group on Facebook and it was the first glimpse of HOPE that we saw. All DSRCT cases are considered terminal. However, through that group, we found many children, teens and young adults LIVING with their disease. They were fighting the battle of their lives but they were living their lives until they couldn't any longer. We have our own Facebook group called Brody's Journey and his mom and him update people on how he is doing and people post inspiration things for him, sometimes just a "Hi Brody, thinking of you today". A friend of mine posts a "Word of the Day" for Brody Monday through Friday, each week since he was diagnosed in September. It's amazing how inspiring those posts are! Everyone checks it right away in the morning to see what Jody posted. When faced with an aggressive disease like Ty and Brody's, you have to have HOPE. If not, what else do you have? One of the "momocologists" in the DSRCT Facebook support group says, "HOPE always". She always capitalizes HOPE. Her son has been LIVING with his DSRCT for 7 years, about 5 years longer than children' typically live after diagnosis. A positive attitude has been one of the best treatments for him. HOPE always for Brody and for Ty!!! Please know that you are in our prayers. Stength, hope and peace. Tyler and your family are in my prayers. I am so glad to see the hope and positive path you and your family are taking. It just breaks my heart when you write that people give you negative comments and tell you to give up. Cancer is a battle and it can be won. I am so proud that you continue to remain positive. Ty needs that more now than ever. I have been keeping all of you in my prayers as you fight this battle. Don't give up hope, you are such an inspiration to so many and I love to read the comments about how many of us are praying for all of you. Blessings to you and yours. I'm sorry some people have to bring you down with their negativity. So happy you are cherishing every day and continuing to pray and hope that your husband will be well again. I will send prayers to you and your whole family. 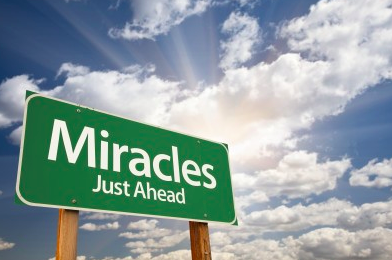 Never give up, miracles happen every single day! Sending prayers and positive thoughts to you and your family. Miracles can and do happen!! Never lose faith!! I only now read this. I am sending hugs and prayers. I am so glad that you are optimistic. There is no reason not to be. I do believe in miracles!!! What an amazing family you have. Thoughts and Prayers are with you all. Teresa, I have been praying for Ty and your family for some time now. I joined "be the match" 16 years ago as a college student. I am always encouraging others to join. Hope an prayers for Ty, your family, the Drs, and the donor!!! Thank you for being you. You are so inspiring and I just want to let you know how much your strength reaches others.